When the needle penetrates the skin, this injury causes some localized damage and bleeding by rupturing fine blood vessels. 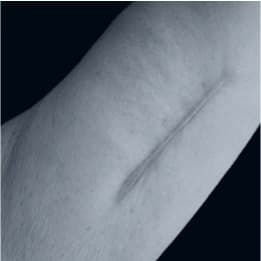 PCI results from the natural response to wounding of the skin. Platelets are automatically released and the normal process of inflammation commences. This promotes the normal post-traumatic release of growth factors and infiltration of fibroblasts which leads to the production of more collagen and elastin. The collagen is laid down in the upper dermis just below the basal layer of the epidermis.